Losada Multilingual School is an education center with 53 years of experience in Vigo city. It is a school with one class per level with a special education classroom, it has Foundation, Primary and Secondary stages. There are 24 teachers for a total of 310 students. 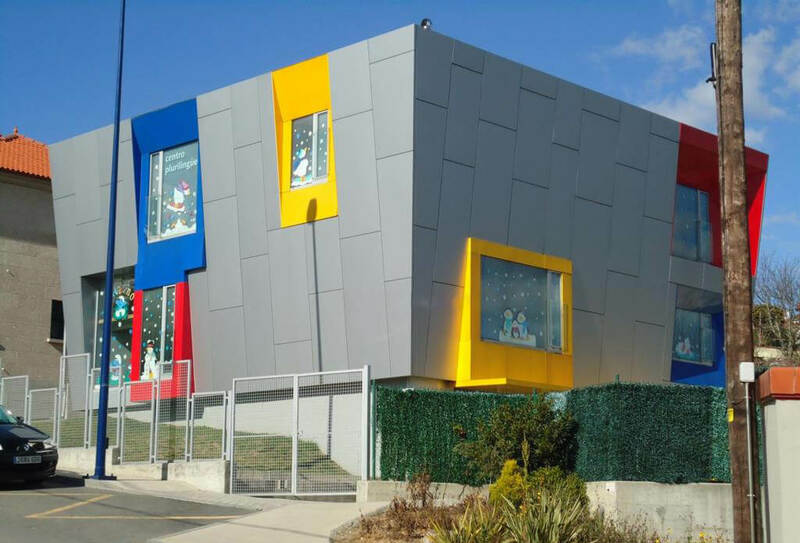 Its current location and modern facilities won the Gómez Román first prize in architecture from Vigo in 1998 and they physically contribute to the innovation spirit we want to take to the educational philosophy of the school. 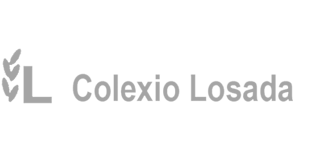 Losada School belongs to the Galician Multilingual Schools Network since 2011, being one of the first private schools to join this network started in 2010 by the Galician Education Office. The plan is fully set up and covers from 1st EP to 4th ESO (Primary and Secondary). In Secondary, the CLIL subjects (Content and Language Integrated Learning) are: Social and Natural Sciences, Biology, Technology, Visual Arts and Ethics. The total hours of subjects taught in foreign languages (English and French) in each year is 33% of the total hours. The implementation of the multilingual plan in the School implies a further step towards the Europeanization of the establishment, fosters the language and cultural diversity present in the European Union education policy and contributes to the foreign language skills improvement, so important for having education and professional advantages and development of personal and social skills. Losada School participates in the CA/AC Program (“Cooperate to Learn/Learn to Cooperate”), developed by the Diversity Attention Research Group (GRAC) of the Vic University. This is a formation/counsel program, which introduces in the classrooms new teaching techniques based on cooperative learning. This methodology encourages students to be active in their learning, collaborate and cooperate, help their peers and work in teams to reach the common goal of progressing in their learning. It is also the most suitable way to take into account the students with special needs. The adoption of the A.C. methodology boosts the key education skills of the 21st century such as critical thinking, discursive and social skills, the problem and conflict resolution, autonomy and creativity. It is a fundamental methodology in order to carry out projects. Project: 2016-1-ES01-KA101-023611: Way to Finland: first phase. This project includes 7 language courses in English and CLIL methodology courses for Science in the UK. In January 2017, three teachers travelled to Joensuu to know the Finnish Education system. This project improved the teachers’ language and methodological skills and good practices were shared with teachers from other European countries. Project: 2017-1-ES01-KA101-037459: Way to Finland: second phase. 2 mobilities for the improvement of the French language skill (Secondary teachers) – August 2017. 2 weeks in Paris. 1 mobility for the technological skill improvement applied to English learning in Secondary. 1 week, July 2017 in Cardiff, Wales. 2 mobilities in October 2017 for a STEM course in Lisbon, Portugal. Science area secondary teachers. 2 jobshadowing in a Preschool in Reggio Emilia, Italy. November 2017. One week. Two teachers. 1 mobility in UK to attend a course about NEE in the CLIL area for Primary, Summer 2018. 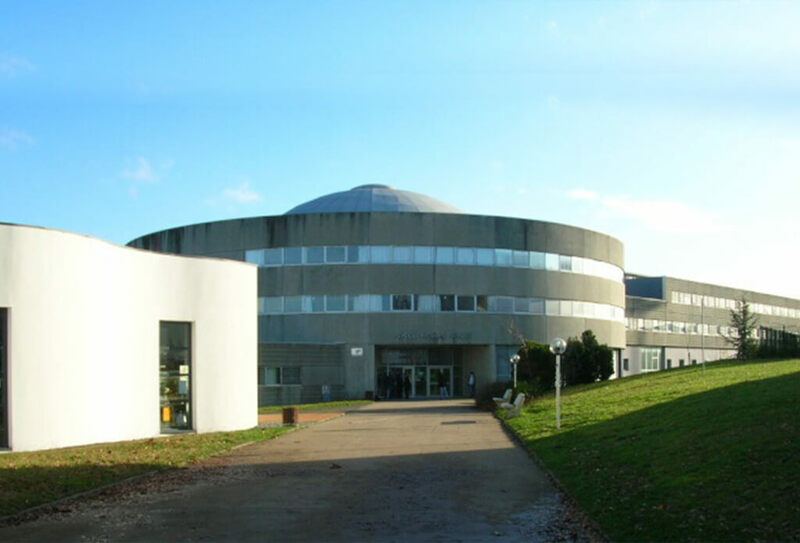 Nicolas Appert High School was built in 1989, it is located in the north suburbs of Nantes (Loire Atlantique department – Pays de la Loire region – Northwest of France). It has the « Lycée des métiers » certification since 2014. The different fields of Education of the N. Appert High School allow us to carry out complex projects that join theoretical knowledge and practical realization. The general education section has about 720 students, 3 school years (Seconde and 2 years of the Baccalaureate final cycle L-ES-S). In this section three languages are taught, two of them are mandatory: English and Spanish or German. El sector de enseñanza general que tiene unos 720 alumnos , 3 cursos escolares (la clase de Seconde y 2 años del ciclo terminal de Bachillerato L-ES-S). En este sector se estudian 3 idiomas entre los cuales 2 son obligatorios: el inglés obligatoriamente y el español o el alemán. The Science and Industrial Techniques section has about 220 students between 15 and 23 years old, who can study English one hour per week. This section prepares to study a technological baccalaureate STI2D (Sustainable Development) and 3 BTS, i.e. 2-year trainings to become Superior Technician (CRSA: Automated Systems Design and Making, Electrotechnical BTS, SNIR: Digital Computer Systems and Networks). Our students from Seconde générale can enroll with an optional choice from the technical section (1½ hours each week): Technological Creation and Innovation (with the possibility of English communication for 1 hour), Engineering, Computer and Digital Creation Science. The Hotel and Restaurant department have about 460 students between 15 and 24 years old. It prepares them to access the Technological Baccalaureate or the Professional Baccalaureate in Cooking and Service, as well as 2 BTS in 2 years, that is courses of Accommodation, Cooking and Service Technician, and complementary mentions in baking or oenology. In these technical baccaleaureates there are English european section and Spanish european section. We receive about 1400 students each year. We are 132 teachers, 55 service agentes and 18 people in administrative positions between them, 7 are management staff. The school project that guides our pedagogical actions started in 2014. Amongst their main axes is: “keep up with the International Opening” promoting languages, strengthening and increasing the exchanges between our students and other countries (trips, associations, professional internships…) in the 3 fields, creating more European classes in the common area and developing the technical English in the industrial classes. Another axe is reinforcing the industrial and scientific area attracting students from Seconde, particularly girls. Our students’ well-being is the third subject we reflect on. This year, we created a workgroup of about 12 volunteer high school teachers, from different subjects and areas, coordinated by the management staff, to work on the “Reception and optimization of our classes in Seconde”. Interdisciplinary projects making a class work on an interest subject related to the School Project will be encouraged. 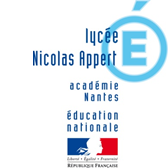 Moreover several teacher from the LGT Nicolas Appert have a DNL (Non-linguistic Discipline) certification, in other words they can teach their subjects in a foreign language in the European sections: they are 8 in Hotel-Restaurant, 3 in General Baccaleaureate and 1 in the industrial area. Our students take classes of 2 languages mandatorily and they know they are not separate subjects but the vehicle of all the knowledge.